Travelling with children, whether by car, plane or train – is no doubt a challenge for any Mum, Dad, Granny or Grandad but the new BubbleBum booster seat makes every journey safer and more fun! This cost-effective, portable, lightweight, brightly coloured, inflatable car booster seat, is designed for children between 4-11 years of age, 15-36kgs. 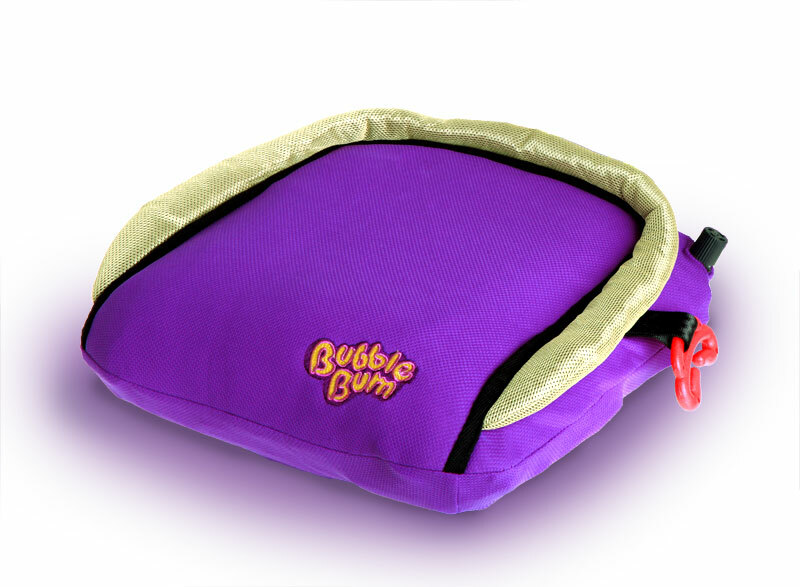 The BumbleBum easily deflates and folds flat so it’s perfect for holidays, rental cars, taxis, coach journeys, school trips or car-pooling. 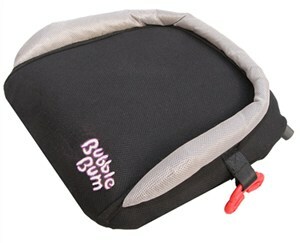 The BubbleBum has been approved under the United Nations ECE Regulation R44/04 for safety for both Groups 2 and 3, and is suitable ONLY for use with a standard 3 point adult seat belt that has been approved to ECE Regulation 16 or equivalent. Also included is a shoulder belt positioning clip which holds the belt against the child’s shoulder and away from the neck reducing any discomfort the child may feel. While this is for comfort only, it reduces the potential for misuse of the vehicle seat belt and it’s recommend that it is used with smaller children who find that the seat belt causes discomfort. Even though your child will be safer on a BubbleBum than using a vehicle seat belt alone, it’s also recommend that you keep your child in a 5 point harness seat as long as possible. Weighing less than half a kilo, the BubbleBum can go with your kids, wherever they go, easily transported in schoolbags, handbags, rucksacks or even the glove compartment of your car. Feeling a little blue? Facebook has the answer!